Bar grating offers the ideal combination of strength, long-term reliability, safety and economy. Especially when Marco fabricates it to our clients specifications. 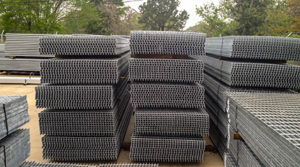 Our warehouse is stocked with bar grating, but many of our clients need custom fabricated grating. We can customize bar grating projects of any size and scope. From a simple weld to complete catalyst screen we are here to help. Heavy-duty bar grating is available for applications that require maximum strength. Bar grating is manufactured from high-quality materials including aluminum, carbon steel and stainless steel. Marco fabricates catwalks and elevated walkways for efficient and safe access in industrial and material handling settings. Our catwalk design meets OSHA safety standards and prevailing building codes for industrial, manufacturing, commercial or military facilities. Catwalks, also called elevated walkways, can be ceiling-hung or supported from the floor or adjacent structures, including racks or mezzanines. 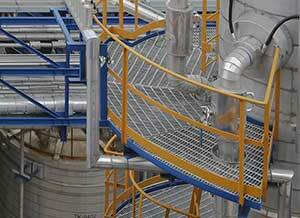 The walking surface of a catwalk can be grated steel or a solid surface, depending on your needs and environment. Catwalks from Marco can include railings, gates, stairways and other accessories to customize them for specific needs and the requirements of the Americans with Disabilities Act (ADA) and OSHA’s standards for industrial use or use where the public has access. 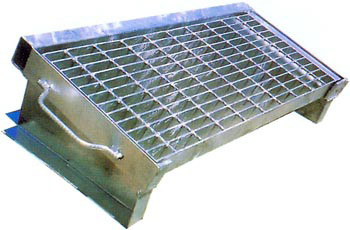 Hinged Grating or access hatches are frequently made from bar grating and fabricated with hinges, lifting handles and even locking devices for security. 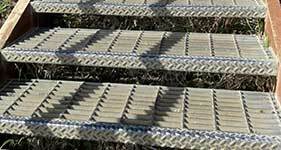 They can hinge onto other grating parts or act as a support. They access panels are common in fall protection and traveling platforms. 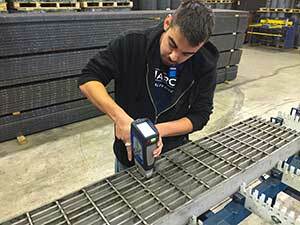 Marco can custom fabricate trench grating and embedded angle frames and pour frames for those gratings used in concrete applications. This turn-key solution will save time, money, and insure proper fit. Marco manufactures a wide range of metal grating for pedestrian, heavy duty H20 traffic and airport (280PSI) loading. 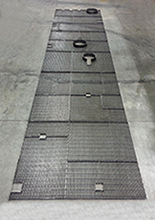 We manufacture welded bar grates, riveted reticuline grates, and special grates for roadway applications. 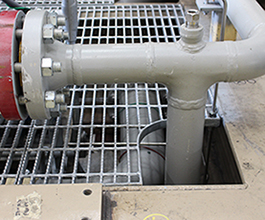 We also custom fabricate grating for skid mounted equipment platforms such as gas metering skids, fractionation systems modular refrigeration systems with cut outs for penetrations, toe plate and edge banding. Our fabrication department has a wealth of knowledge about platforms for many industries including power and energy and of course oil and gas. We offer complete take offs, manufacturing, and erection field drawings to help your project run smoothly. Our Houston-based office is conveniently located. Contact us today to learn more. Our steel fabricating professionals are well qualified to create your modular mezzanine to fit your exact dimensions. 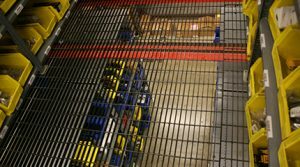 Bar grating mezzanines are a great solution when you need extra space but don’t have more square footage in your facility. That’s where we come in, call us to inquire about our offerings. We have a rush service and are available 24 hours a day call (800) 200-3047. Marco Specialty Steel has a huge stock full of bar grating planks and stair treads but sometimes our clients need custom sized treads or grating cut to size. We often custom cut and weld bar grating stair treads to our clients exact measurements and specifications. 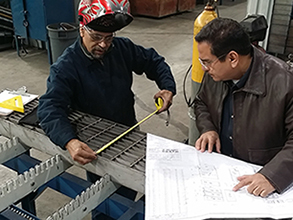 A key reason why Marco Specialty Steel is one of the best custom bar grating fabricators in Texas and throughout the United States is our state-of-the-art facility. Our service center includes a fully equipped metal fabrication shop that features the latest metalworking equipment. We also have the experienced personnel who are committed to producing a custom bar grating fabrication result that will exceed your expectations. Our quality control department will perform additional checks to ensure superior quality of the finished product. We can handle any custom bar grating fabrication project, regardless of size, scope or complexity. Marco Specialty Steel is a Houston-based supplier of superior specialty steel products. We offer a wide selection of top-quality stock bar grating products for companies in industries such as heavy equipment manufacturing, oil refining, aerospace and offshore drilling. In addition, we provide turnkey bar grating fabrication services where we will modify any bar grating product in our inventory to your specifications. 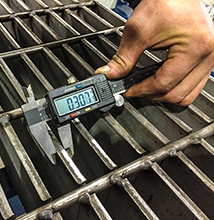 Our custom bar grating fabrication solutions ensure you get the exact product you need for your unique applications. Our efficient metal fabricating process, combined with our world-class customer service, is what separates Marco Specialty Steel from other specialty steel suppliers. We can work with your blueprints or mechanical drawings to develop your bar grating product to your specifications. Our knowledgeable sales staff will also be happy to help you if you are not sure what customization options will work best for your applications. We have extensive experience collaborating with architects, engineers, buyers and maintenance professionals, and we understand the needs of each functional area of your organization. What’s more, you will appreciate out amazingly fast turnaround time on every project. 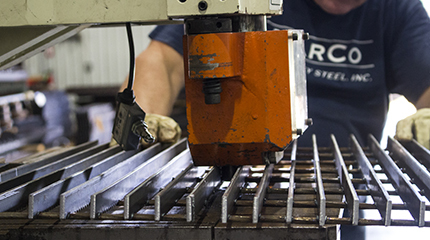 Discover why so many manufacturing operations across Texas and throughout the USA have made Marco Specialty Steel their one-stop source for bar grating fabrication and all their metal/steel needs. 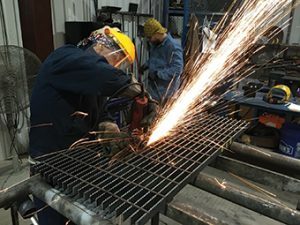 Contact us to learn more about our complete menu of bar grating fabrication services and get a no-obligation project quote today.